The BarberQue crew and volunteers hit the streets today, going door-to-door to hotels and dental offices hunting for goodies for our toiletry grab bags. 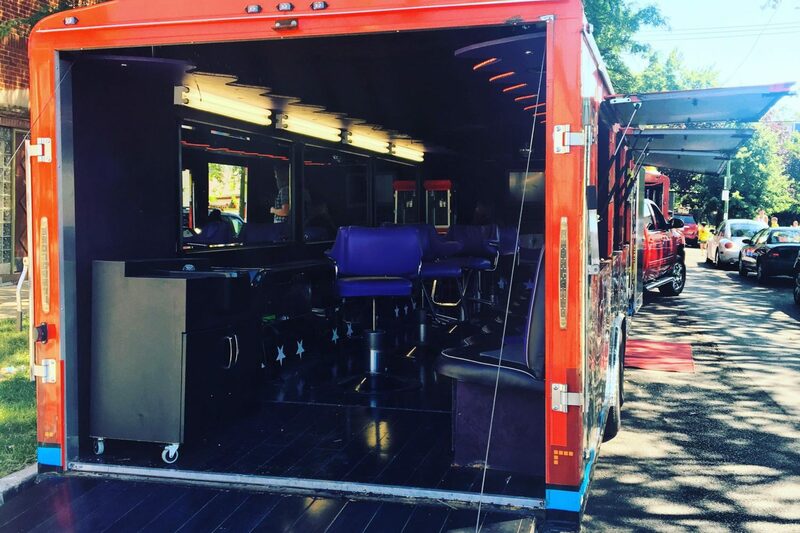 While out and about, we happened across Barber Johnny’s Barber Truck. Are we going to rent it? You bet we are.